The BBC operates an increasing number of commercial TV services around the world in partnership with local TV platform operators. What are these international channels from the BBC? These are commercially operated channels, funded through advertising and subscription revenues. Not all channels are available in every part of Europe. The BBC offers different versions of its channels for different countries, notably there are a set of channels for Scandinavia, for Poland, for Romania, for Turkey, for Italy and now for Belgium, the Netherlands and Luxembourg (Benelux). These 'local' versions either offer subtitles or a complete sound track in the relevant language(s) spoken in each territory. BBC World News, is the BBC’s English language 24 hour news channel, and is provided by BBC Global News. The main UK channels, such as BBC One, are distributed in the Republic of Ireland, the Netherlands and Belgium via cable networks. In the Netherlands, terrestrial pay TV service Digitenne offers BBC One and BBC Two and in the Republic of Ireland, BBC TV services are included in Sky's channel list. This is due to these countries being within the overspill satellite coverage area. (Historically, some cable operators started relaying BBC channels via terrestrial overspill signals along the coast). Viewers can opt to receive these channels free-to-air direct via satellite, sidestepping local pay TV platforms in these countries. Switzerland: Swiss law allows local cable operators to relay free-to-air TV channels that are receivable via satellite, providing the cable operator compensates the rights holders. Although Switzerland is outside of the core UK satellite coverage area, larger satellite dishes can still receive the BBC 'domestic' TV channels, and so BBC UK channels alongside services from ITV, Channel 4 and 5 are distributed on cable. What’s available on the channels? There’s a mixture of recent and older BBC programmes. Some BBC Worldwide channels also take content from other sources, such as ITV and Channel 4. In essence, they are similar to the UKTV channels in the UK, like Dave and Eden. BBC Brit is for example, very similar to UK TV channel Dave, with its diet of Top Gear, QI and Live at the Apollo. The channel also takes Channel 4’s Alan Carr: Chatty Man and Channel 5’s Police Interceptors. BBC Earth is the home of natural history. BBC Earth showcases landmark BBC series such as Blue Planet, Life Story and Planet Earth alongside family favourites such as Deadly 60 and Dara O Briain’s Science Club. BBC Entertainment – the former BBC Prime channel – is still available across most of Europe, although it has been replaced in Scandinavia with BBC Brit. BBC Entertainment in Europe continues to show EastEnders, alongside Doctors and Casualty. Drama on the channel includes older episodes of Doctor Who and New Tricks. For younger children, the channel broadcasts a strand of CBeebies programmes during early morning – a relic of the old CBBC morning and afternoon strands on the former BBC Prime channel. This is because CBeebies isn’t available in those parts of continental Europe where BBC Entertainment operates. BBC First is the new premium drama channel from BBC Worldwide with highlights including Wolf Hall, Silent Witness and Last Tango in Halifax. BBC HD showcases the best of the BBC’s drama and factual programming in high definition. BBC Knowledge contains the BBC’s factual output. In Scandinavia and several other countries, the channel has been replaced by BBC Earth. BBC Lifestyle is where to find cookery, makeover and antique shows such as Masterchef, DIY SOS and Bargain Hunt. CBeebies There are international versions of the channel for pre-school children. Due to the way broadcast rights are sold in different areas, the programmes shown on BBC Worldwide channels on a day-to-day basis do vary from country to country. How do I find out more about which BBC international channels are available in Europe? Check the www.bbceurope.com website, which lists the channels available in each different country. You should check with local TV platform operators, such as cable companies and satellite pay TV services, if BBC channels are available in the country you're interested in. Can I watch the iPlayer abroad? According to the BBC's terms for using their services, viewers outside the UK can't access the UK version of iPlayer. Sorry, we're unable to advise you on VPN workarounds here. An international version of iPlayer has recently been discontinued. 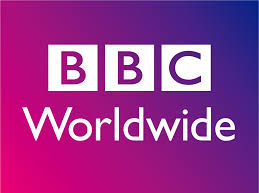 A new service for international viewers is expected to be announced by BBC Worldwide.